That is the annual economic impact Wisconsin's military bases and facilities, as well as the specialized military and civilian workforce that support the mission of these assets, have on the state of Wisconsin. are directly intertwined in their missions and employ over 3,100 military and civilian employees and account for about $1 in $4 dollars of the total military economic impact in the State of Wisconsin, nearly $250 million annually. Based in Madison at Truax Field, the 115th Fighter Wing currently accounts for over 1,500 military and civilian employees. The 115 FW has 18 F-16C Primary Aircraft Assigned (PAA) that support three primary federal missions: 1) Global Precision Attack by means of an Air Expeditionary Force (AEF) aviation package; 2) air superiority through AEF and Aerospace Control Alert (ACA) for Homeland Defense; and 3) global integrated intelligence surveillance and reconnaissance (ISR). 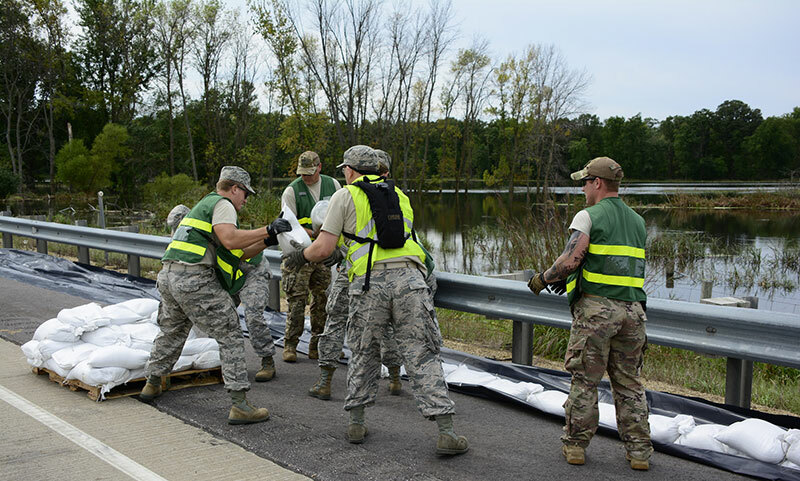 Importantly, the 115th Fighter Wing also serves a state mission through emergency response to catastrophic events and natural disasters; counter-drug operations; explosive ordinance disposal; and crash and fire rescue services at Dane County Regional Airport. Located in Camp Douglas, Volk Field is home to the 128th Air Control Squadron (ACS) and the 126th Weather Flight. Volk Field is one of only four Combat Readiness Training Centers (CRTC) in the nation. A CRTC provides an integrated, year-round environment that allows for combined airspace, facilities and equipment training to be conducted in manners not available at a unit's home station. The facilities approximate a Forward Operating Location and provide a realistic setting for conducting unit Operational Readiness Exercises and Inspections. Additionally, the CRTC oversees the operations and scheduling of the Hardwood Air-to-Ground Gunnery Range and over 11,000 square miles of special use military training airspace. 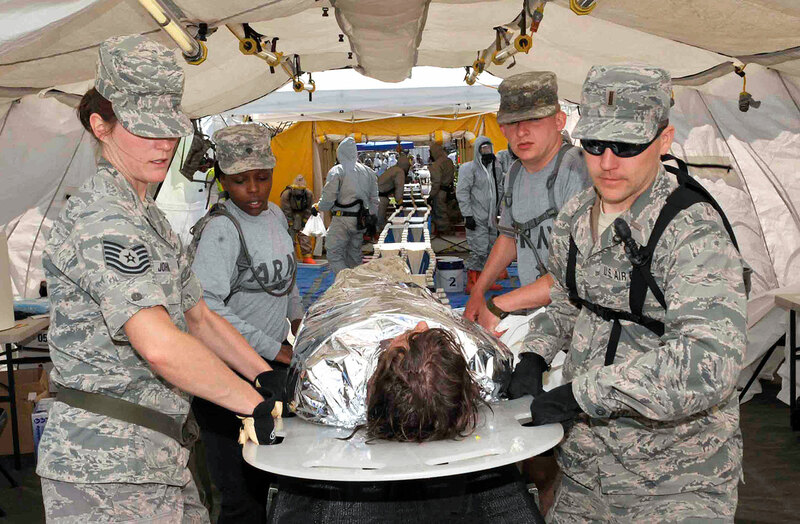 The CRTC provides training opportunities for all Department of Defense components and also hosts non-military users such as federal, state and local law enforcement agencies; the Civil Air Patrol; and youth organizations. In addition to its federal missions, one of Volk Field's primary state missions is to provide personnel and equipment to be used in protecting life and property, as well as preserving the peace, order, and safety of the general public. Volk Field also provides a Continuity of Operations (COOP) location for Wisconsin's state government and the Department of Military Affairs. Considering the current F-16s have had a service life of 30 years, winning the bid for the brand new F-35 means extending the 115th Fighter Wing's $99.2 million of annual economic impact for 30 years. That makes for a total of nearly $3 billion of economic activity within Wisconsin over that time. The State of Wisconsin has traditionally lagged national levels of military employment on a per capita basis. 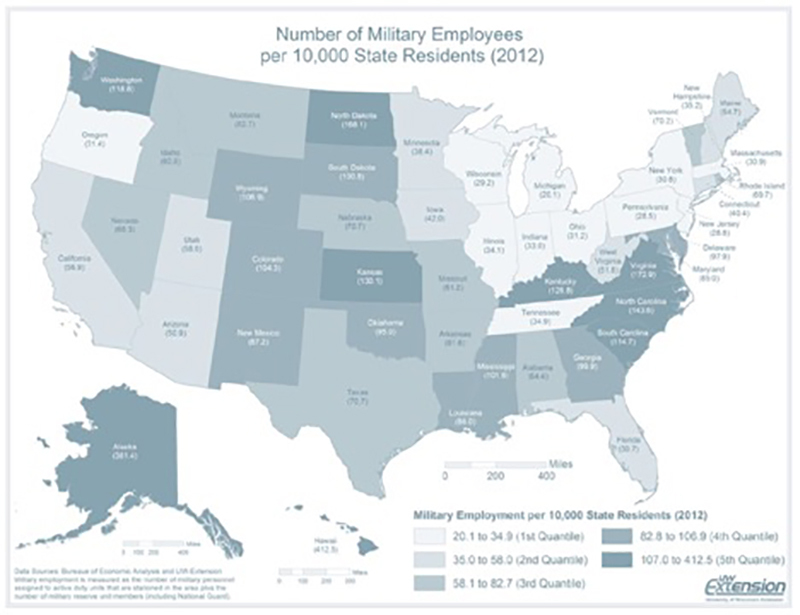 According to the Bureau of Economic Analysis and the University of Wisconsin Extension, in 2012, Wisconsin had 29.2 military employees per 10,000 residents compared to a national average of 65.5 per 10,000 residents. In fact, Wisconsin has one of the lowest per capita levels of military employment among all states. Compared to the nation and neighboring states, Wisconsin has also experienced one of larger percentage declines in per capita military employment between 1990 and 2012. Wisconsin's military employment change per capita between 1990 and 2012: -42.8%; United States: -39.9%; Illinois: -48.3%; Iowa: -27.7%; Michigan: -53.4%; Minnesota: -34.2%.